Western Australia is a story. Its complex characters add colour and passion to the rich tapestry of our city; layers of personal victories, overwhelming joy, lessons learnt and heartbreaking rejection. Our young city, built on ancient land, has been physically shaped by water and wind, but it's the people who live here that continue to shape its bright future. The people of Western Australia have developed a distinct culture; we are a diverse, migrant community with a strong Aboriginal history and a unique isolation. In this exhibition we singled out twelve individuals whose personal stories shape and shed light on our recent history. We hear from outsiders who fought their way into tight-knit communities to become leaders, stories of childhood wonder, great discoveries, enterprise, bold ideas and every-day experiences that fill our memories. 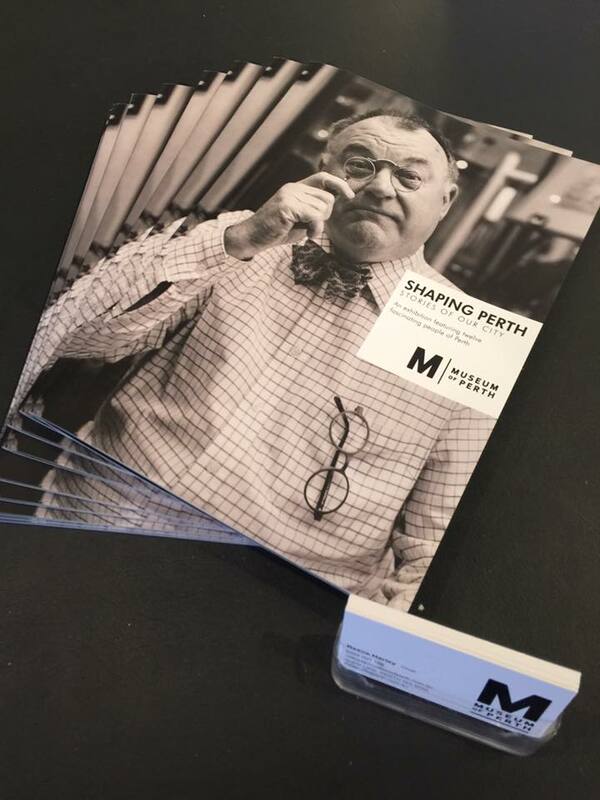 Together with the Museum of Perth, this project thrusts the people of the city into the spotlight. These characters create, reflect, advocate and persevere to shape our city. We welcome you to get to know the exhibition's subject through layers of photography, biography, oral history and artefacts. Combined, they provide a tiny glimpse of the fascinating story of this place we call home. With thanks to Reece Harley and the Museum of Perth. Check out the Shaping Perth website for more information. “Born looking out to Bass Straight to see five generations of fishermen, then behind to see five generations of high country cattlemen”, Trevor’s genetics were shaped by nature deciding family fortunes. “Sea games, draught, snow storms, bush fires, floods and history shape us as wind shapes rock.” Trevor found his way to Perth to take a role in a fundraising capacity but soon allowed his love of history and his connection to the past to steer him in the direction of Trinity Antiques in the centre of the City. As director there, he has made a name for himself through his expertise and astute purchases, many of which have been displayed by, or donated to, the National Gallery of Australia, the National Library of Australia and others. In his film, as well as describing his childhood, Trevor uses different artworks and pieces of jewellery to describe Western Australia as it was at the start of the 20th century and earlier. Award winning political journalist Peter has worked for The West Australian, The Sydney Morning Herald, as Chief of Staff at the Canberra Press Gallery and as Press Secretary to Deputy Premier Mal Bryce. He also presented the Drive Program and the Morning Program on ABC Radio before joining the ABC television team as political correspondent in 2000. His face and voice are both very familiar to, and beloved and trusted by Perth; Peter says he loved both roles but they were equally terrifying to him when he first embarked upon them. Peter tells us about growing up in Perth in the 1950s and about how his fascination with politics manifested in a career in journalism in the 1970s. Author and expert diver Hugh was instrumental in discovering some of the most well-known shipwrecks along the West Australian coast line, including the 1629 Batavia and the 1727 Zeewyjk, for which he has been recognised by statute as ‘Primary Finder’. His work led him to many close encounters with sharks. As a result of observation (including cage diving with great whites and a camcorder) and comprehensive research, he has become one of the State’s leading shark experts. Hugh has written over 35 books and was the recipient of a Medal of the Order of Australia in 2009 for service to Australia’s maritime heritage through the discovery of historic shipwrecks, and as an author. Hugh describes, among other things, his role in the discovery of the Batavia in the 1960s and some of his experiences while observing sharks. Born and raised in Melbourne, Alannah came to Perth at 18 seeking adventure. She worked everywhere from factories, bars and checkouts to the Federal Government's Aboriginal Employment and Training Branch before commencing a career in commercial law, becoming a partner in a Perth law firm. Alannah has always believed that in a democracy you can't just expect someone else will do what needs to be done and so has taken an active role in community and politics since her teenage years. She was elected to Perth City Council, serving there for five years. She began a 17-year stint in WA Parliament in 1993 from where she served as Minister for Planning and Infrastructure 2001-2008. She has since been Mayor of Vincent and most recently served a term as the Federal Member for Perth. Alannah describes the Perth she experienced in the ‘70s and the part she played subsequently in shaping the City.